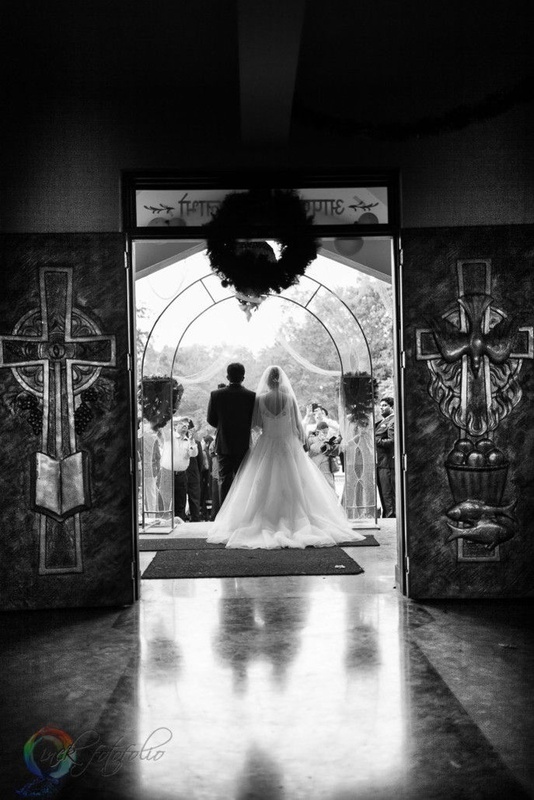 “Early last year, when INCK got a call from Bonnie, we literally jumped! 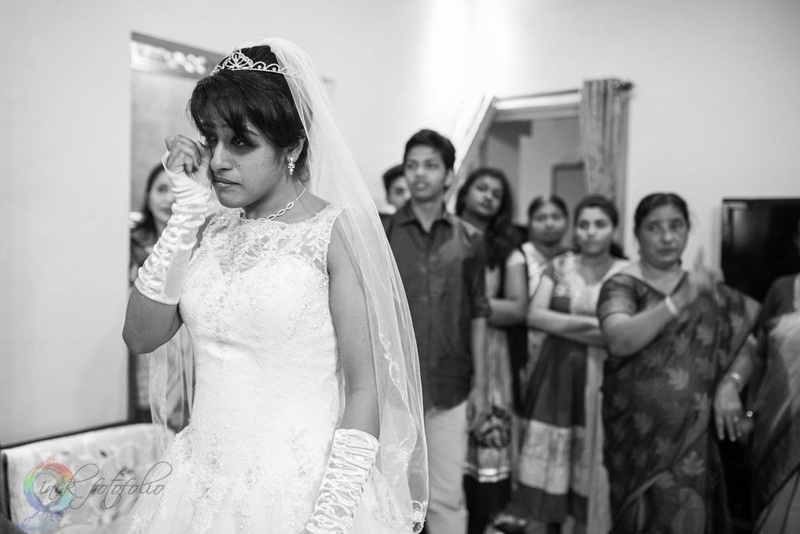 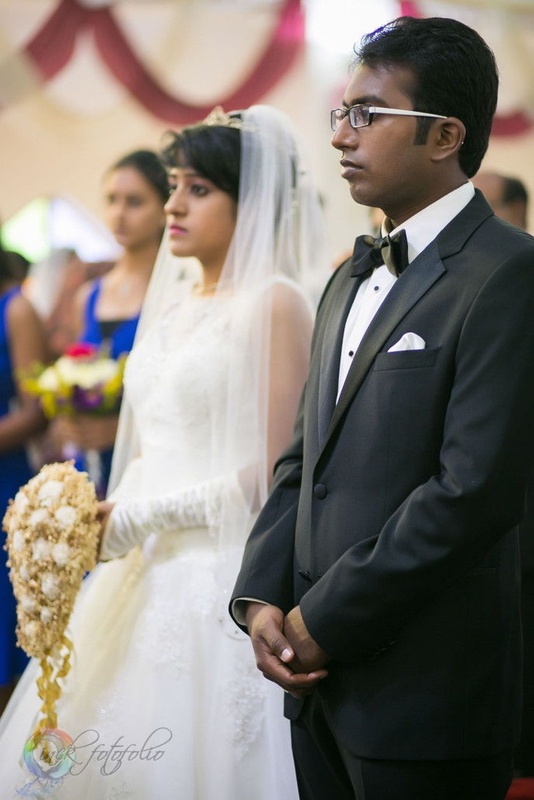 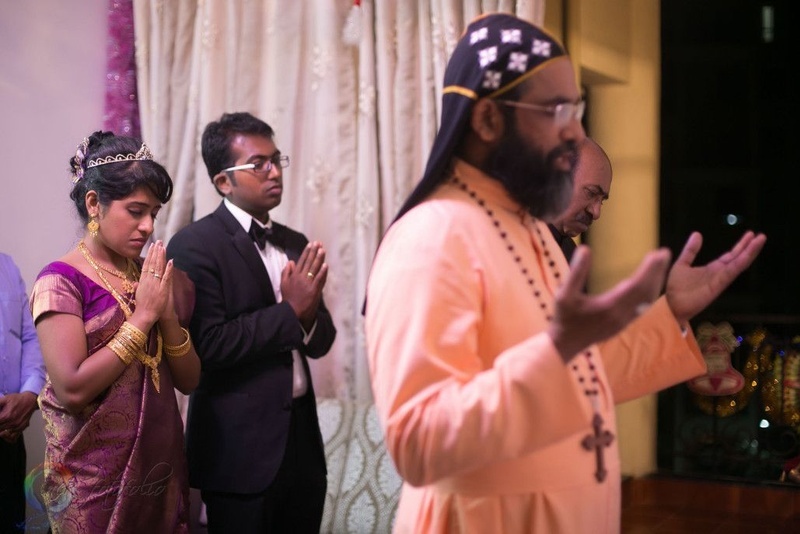 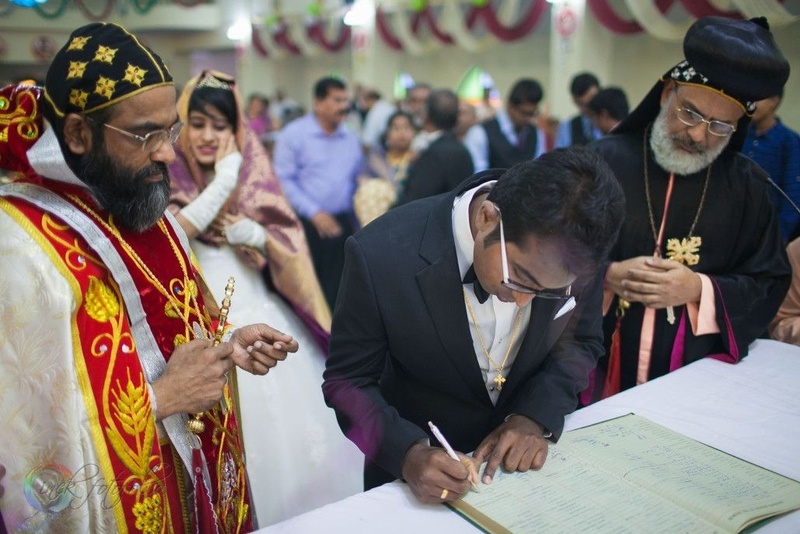 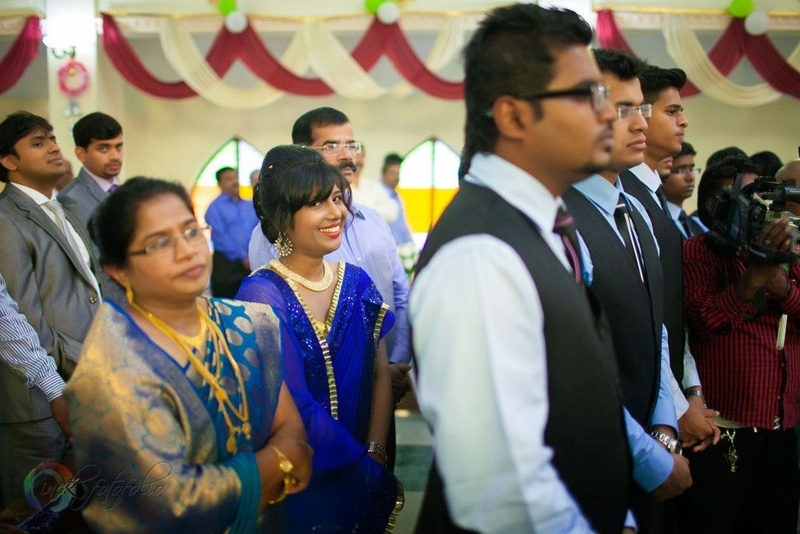 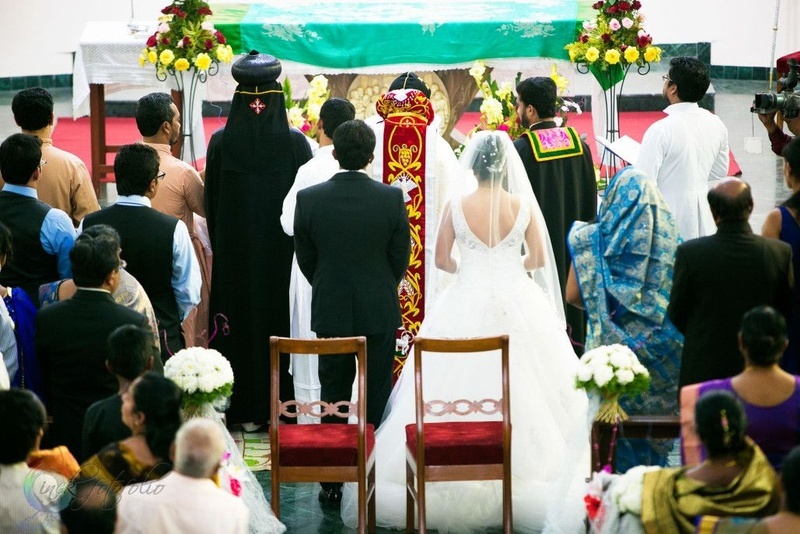 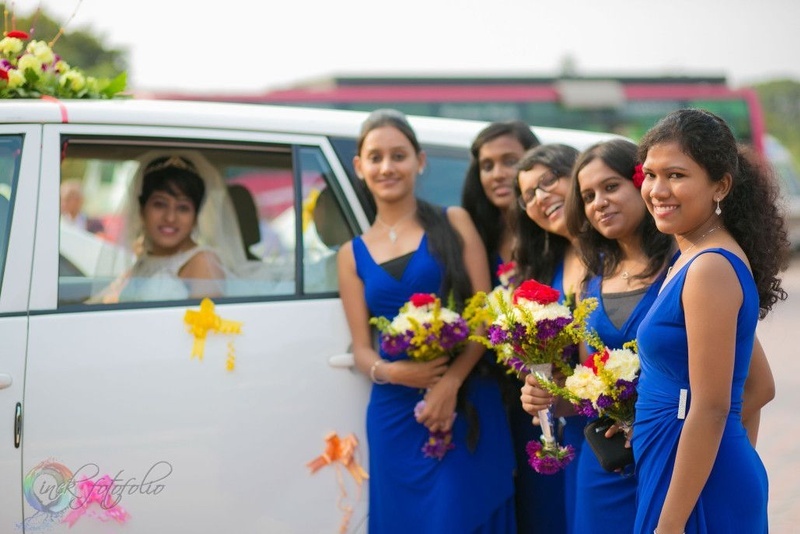 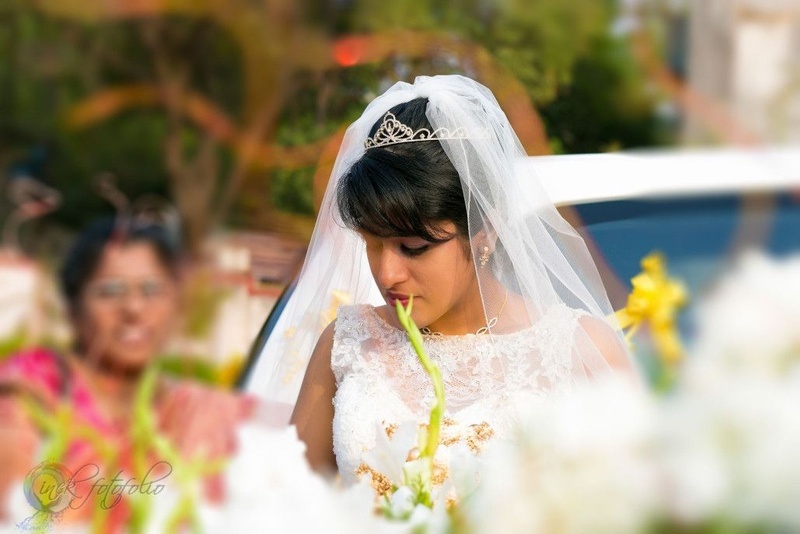 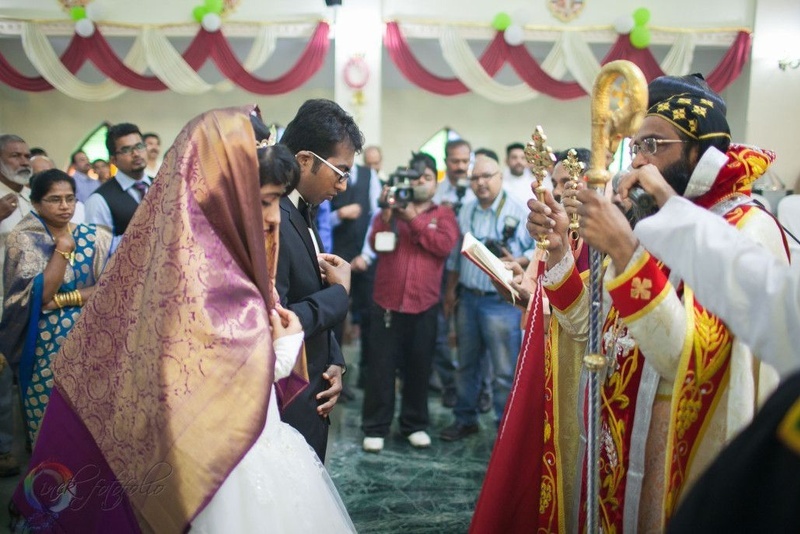 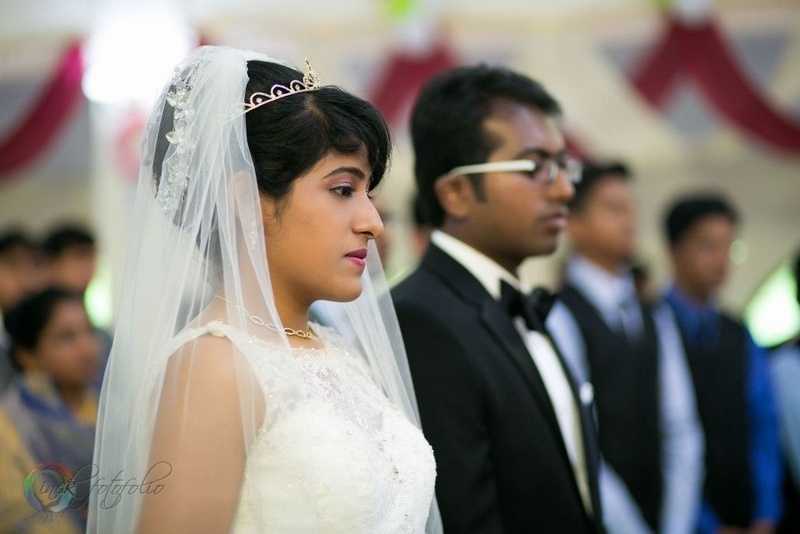 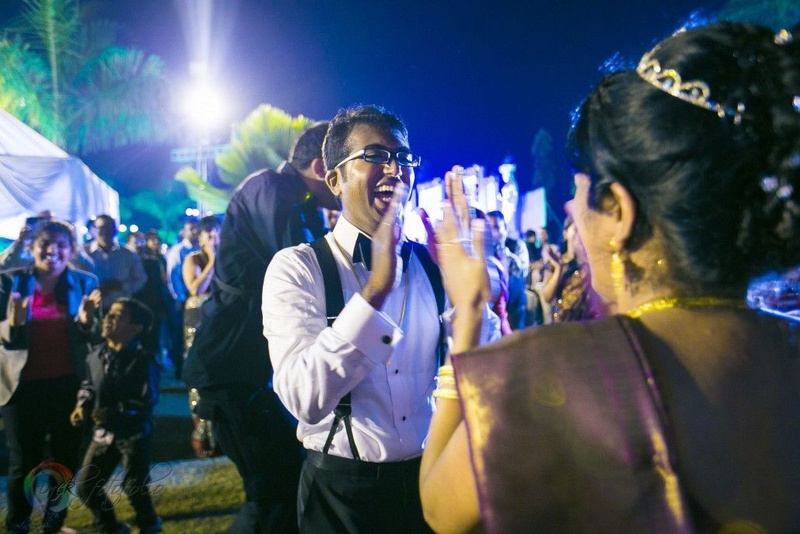 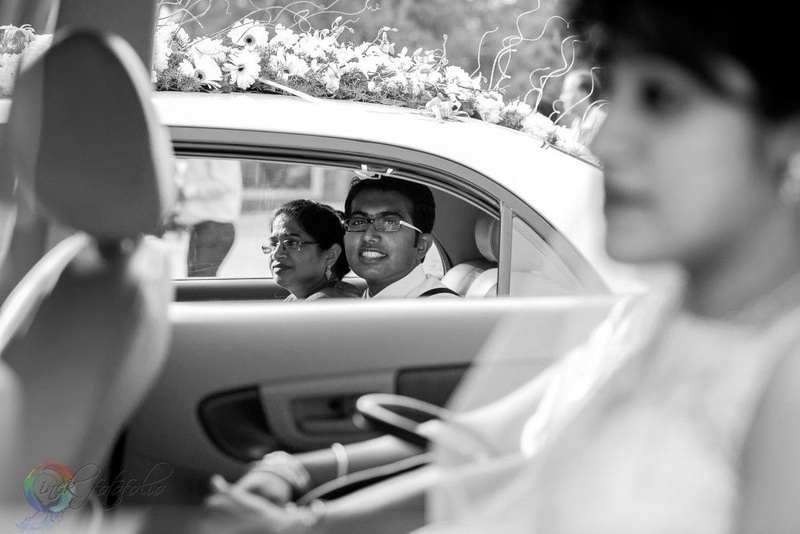 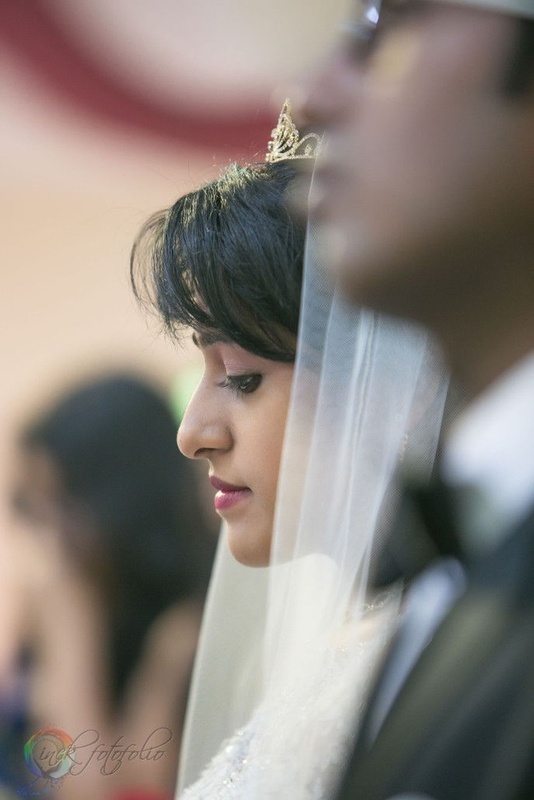 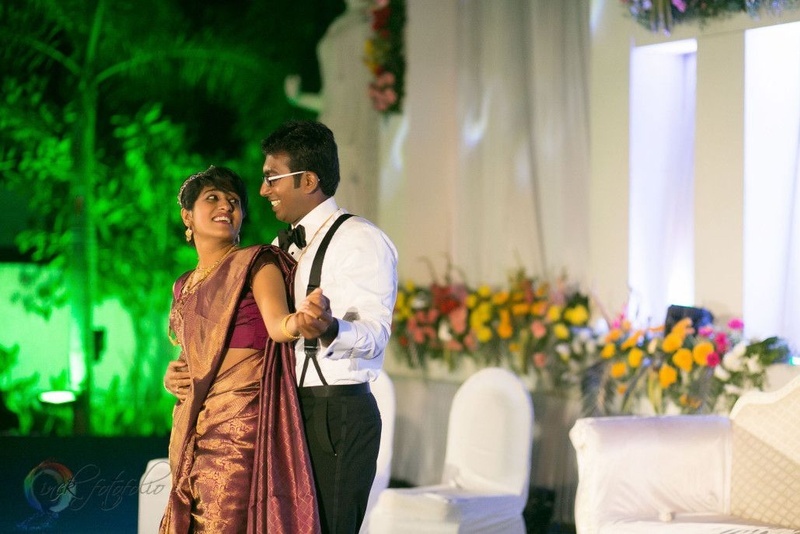 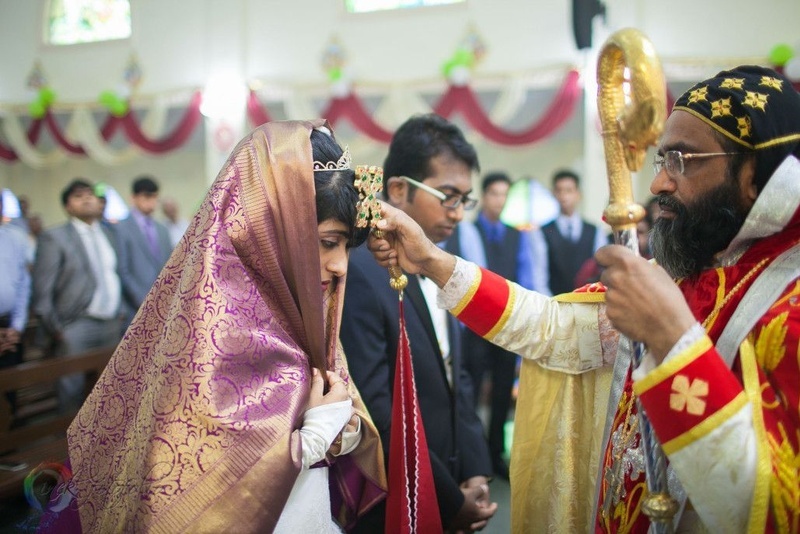 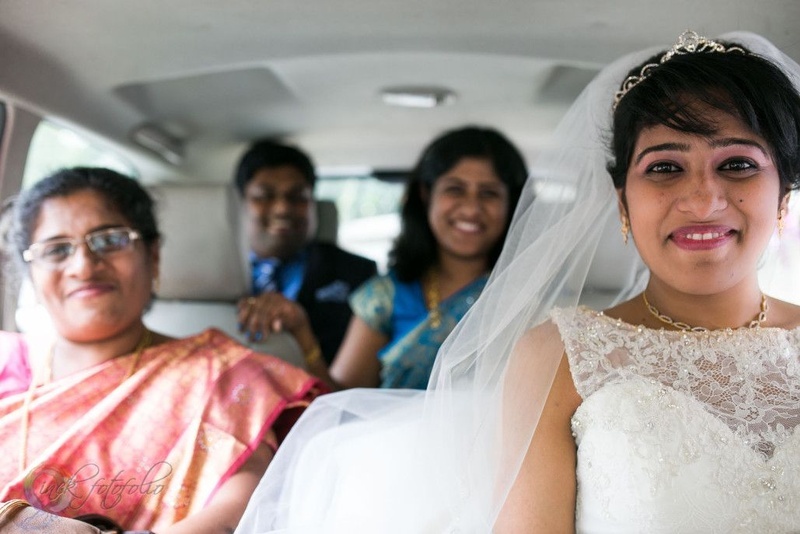 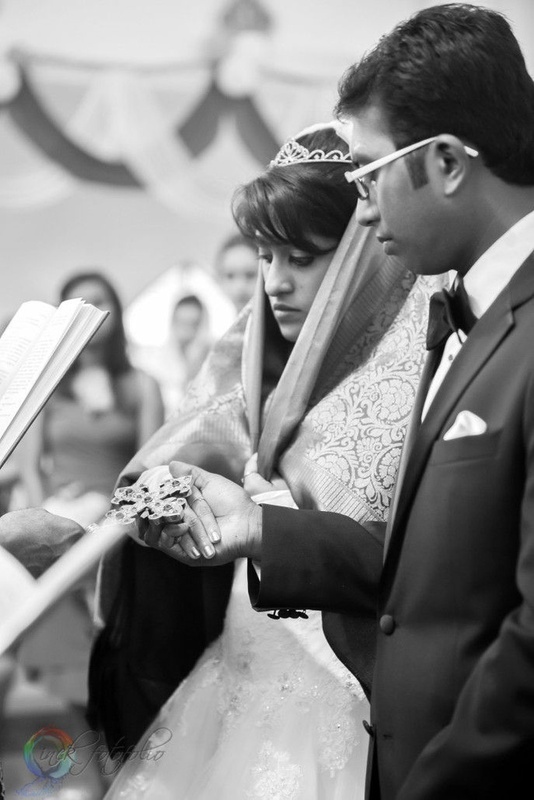 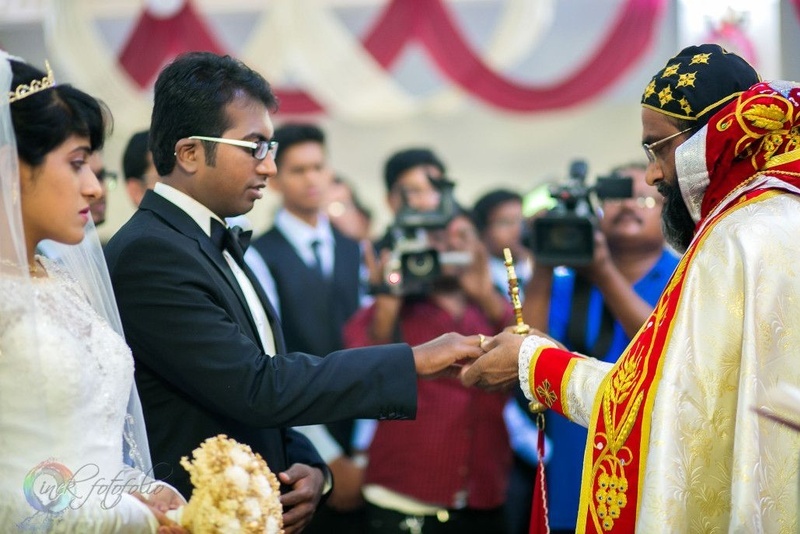 The fact that this was our first Church Wedding – that too an out-of-the-box Malayali Christian wedding, with the Malayali bride wearing a white gown instead of a sari – got us even more excited. 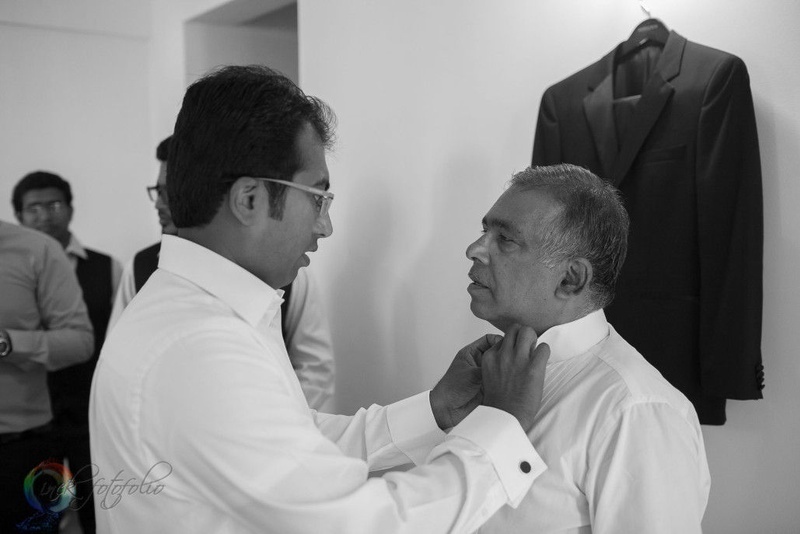 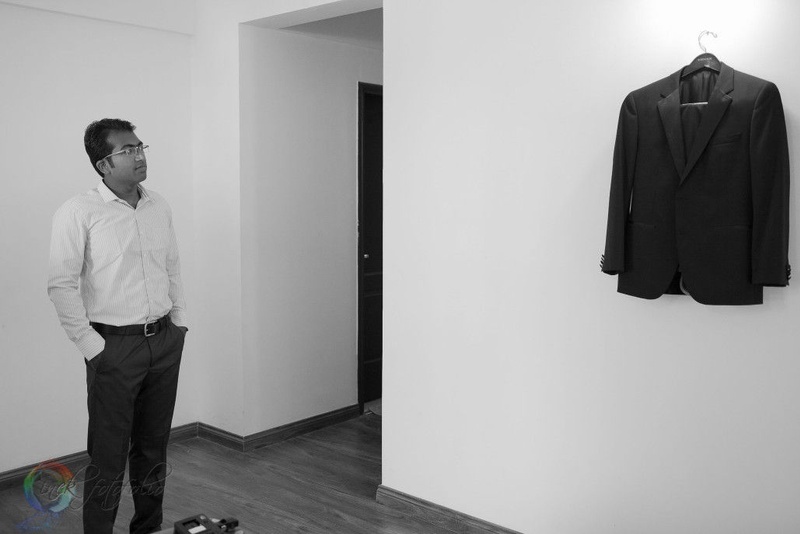 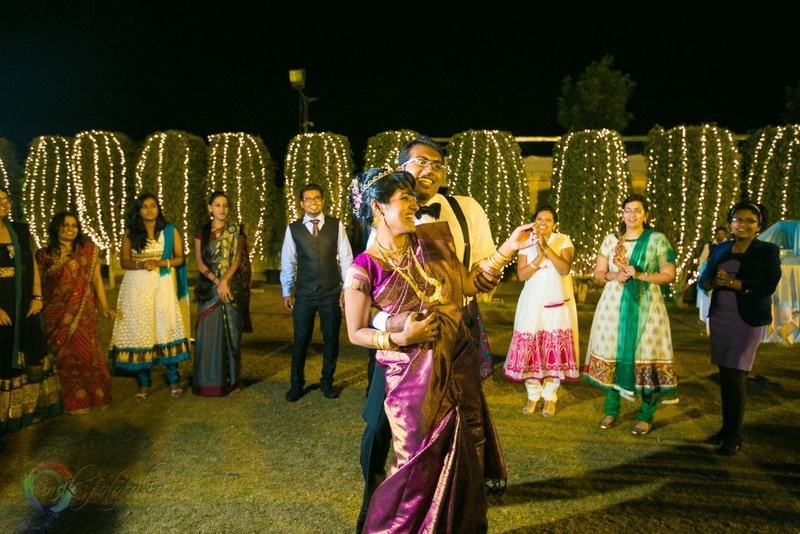 Not only did we click really well with this couple, but we knew that their love story would weave special magic into whatever photographs we shoot!” said Pravin, the photographer at Scarlet Weddings. 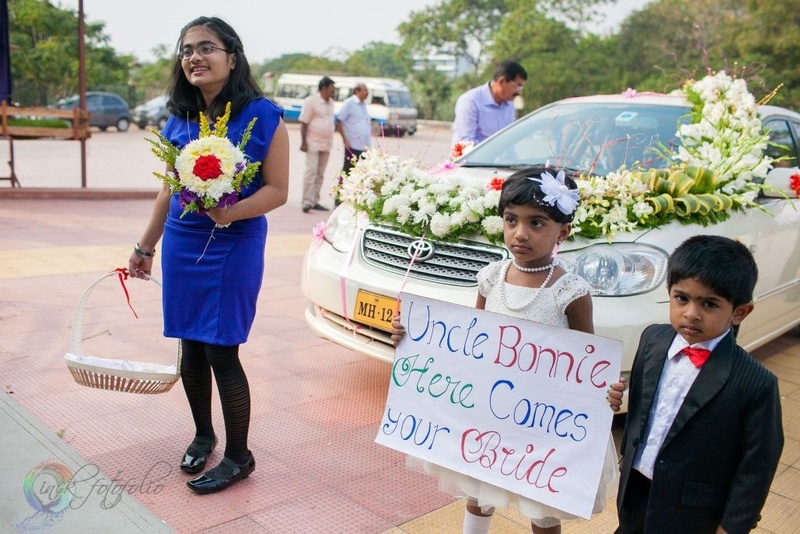 This childhood friendship that evolved into love is rarely found nowadays, but Bincy and Bonnie’s characters and personalities go together like peanut butter and jelly! 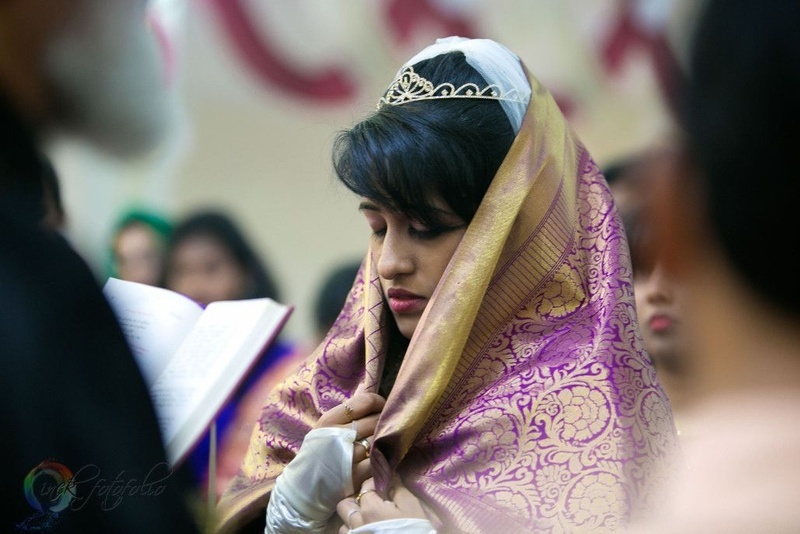 Bincy was quite apprehensive about tampering with traditions and wearing a white gown instead of a saree but she pulled it off with utmost grace. 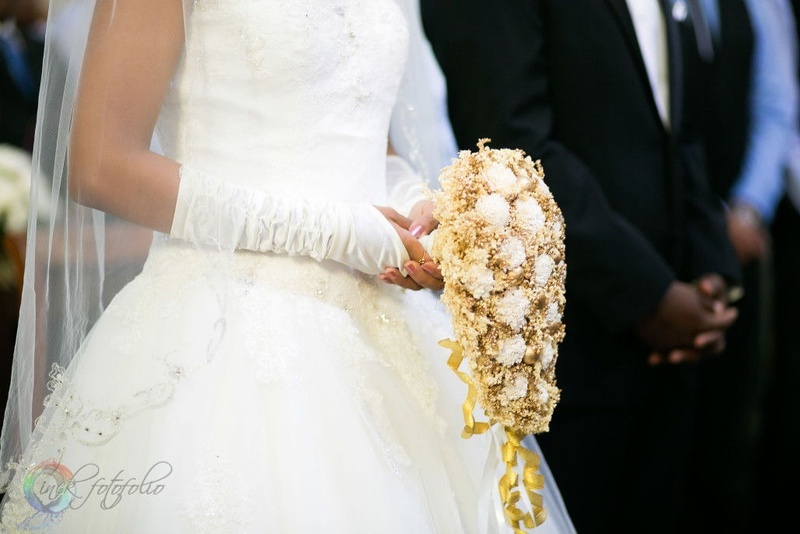 Her white gown was intricately embellished with white and silver crystals. 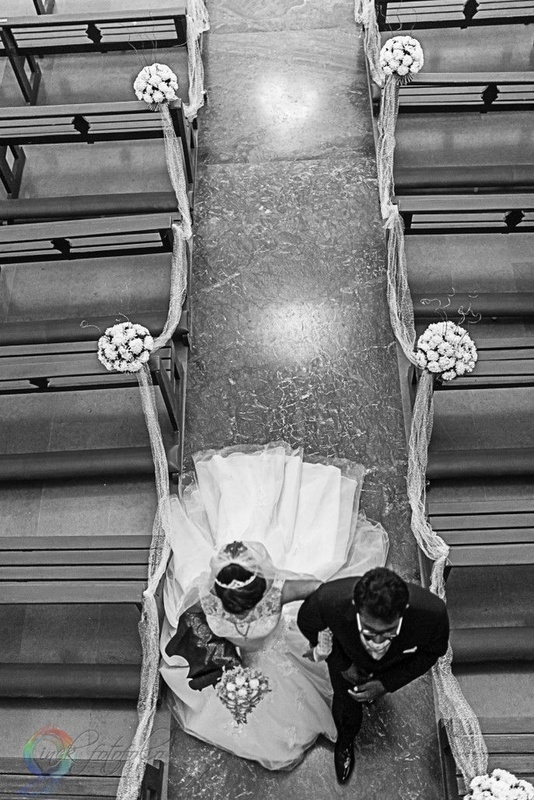 Bonnie had a zeal for perfection and was intent on learning to tie a bow, rather than wearing a clip-on one! 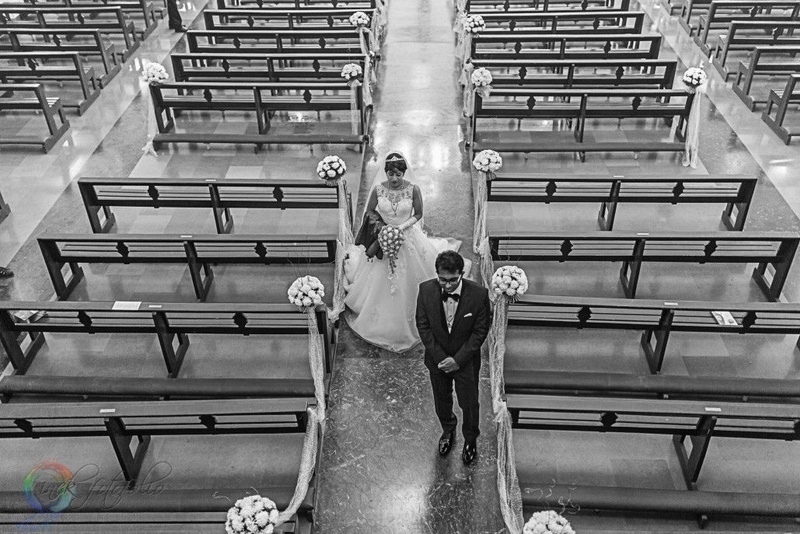 The day dawned with a perfect sky and a wonderful mix of traditional ceremonies and modern settings that set the pace for a candid wedding photography shoot at the church. 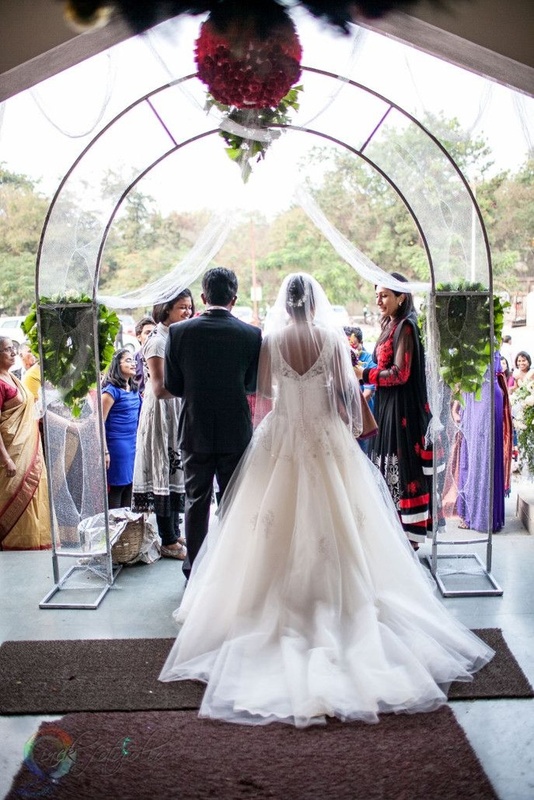 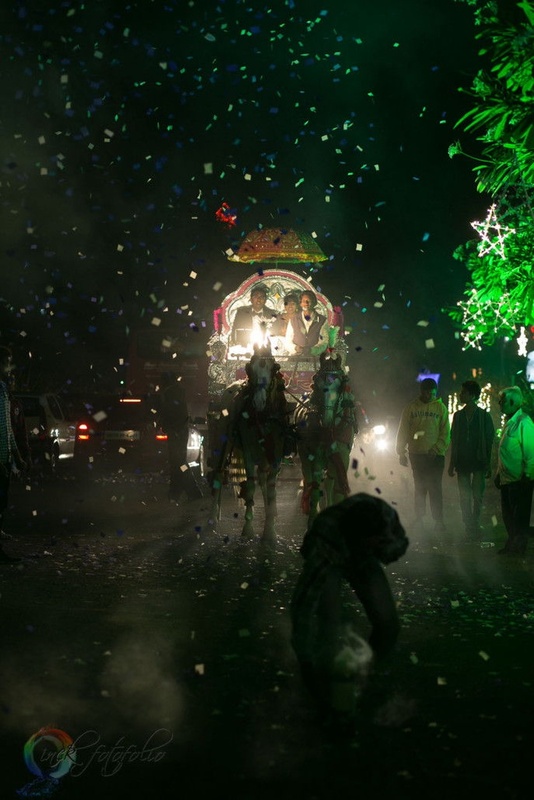 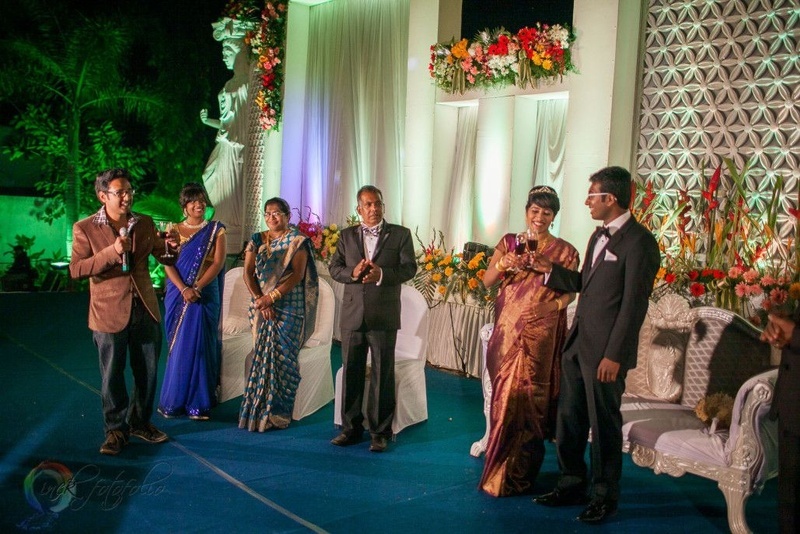 The “just-married” couple arrived in a chariot for the reception ceremony, for which Bincy donned a purple kanjivaram silk saree. 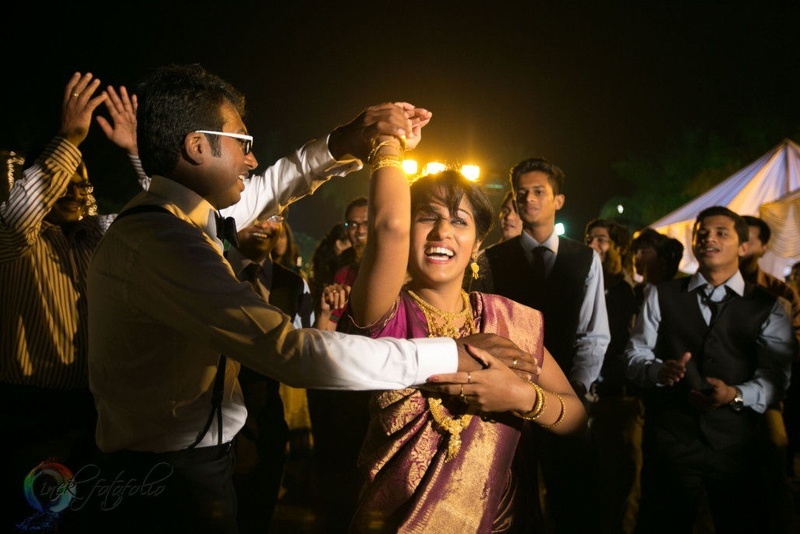 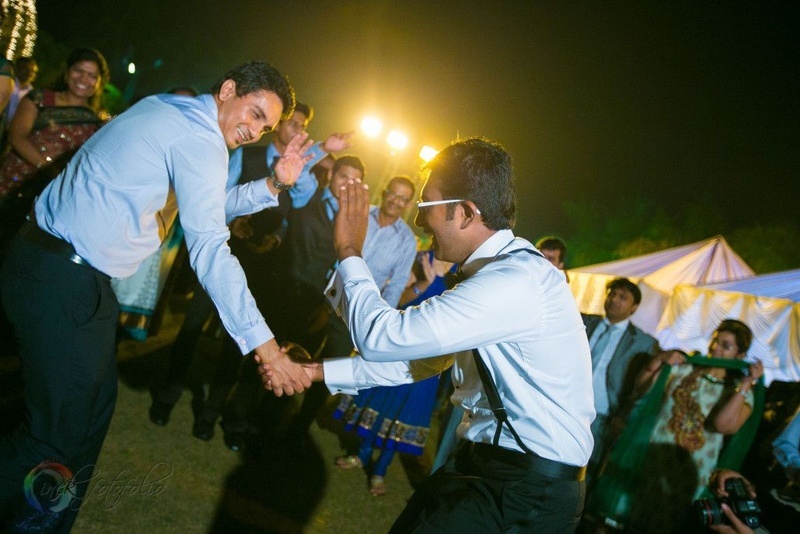 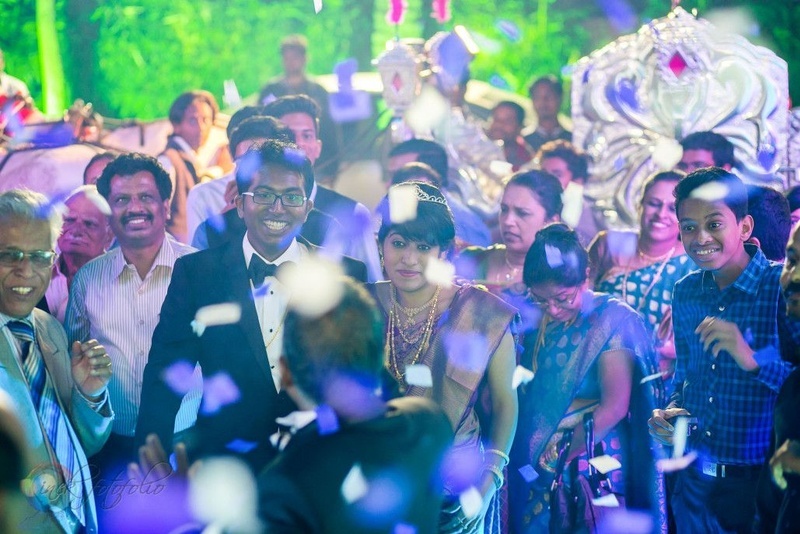 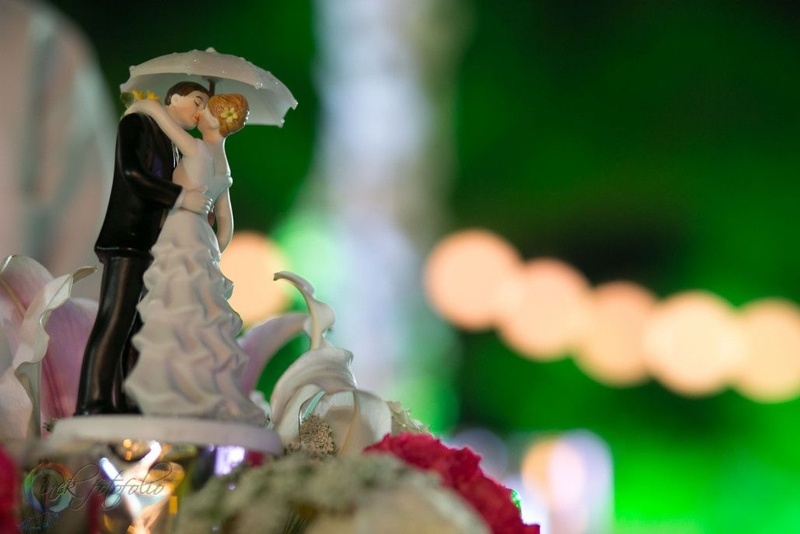 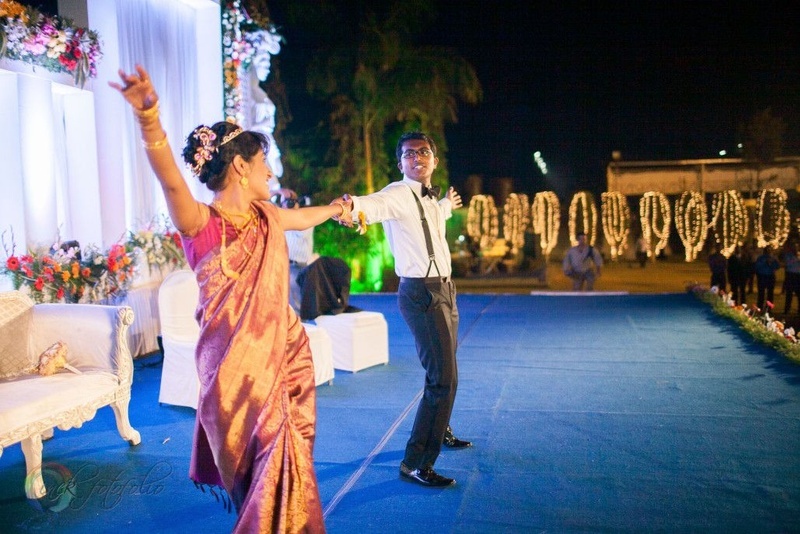 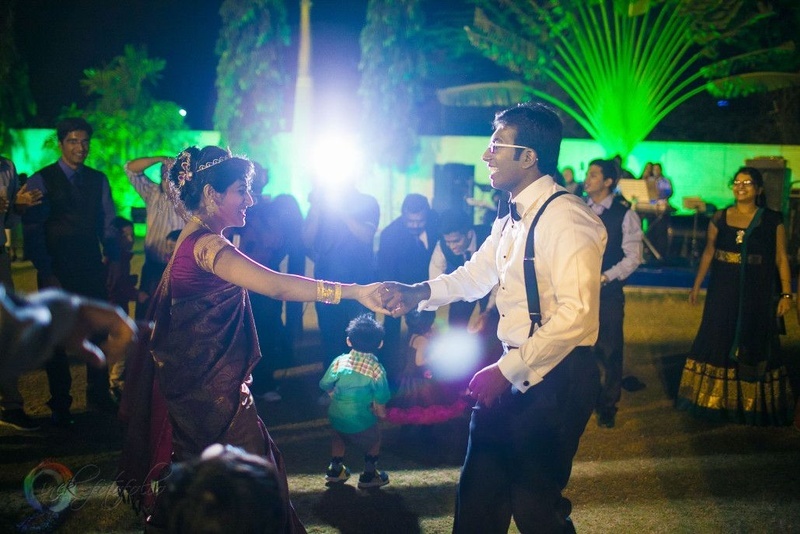 Celebrations begun and the party that followed was an extravagant affair in true Malayali style, complete with elements of a Christian wedding like the first dance, sand ceremony and of course, the cake cutting! 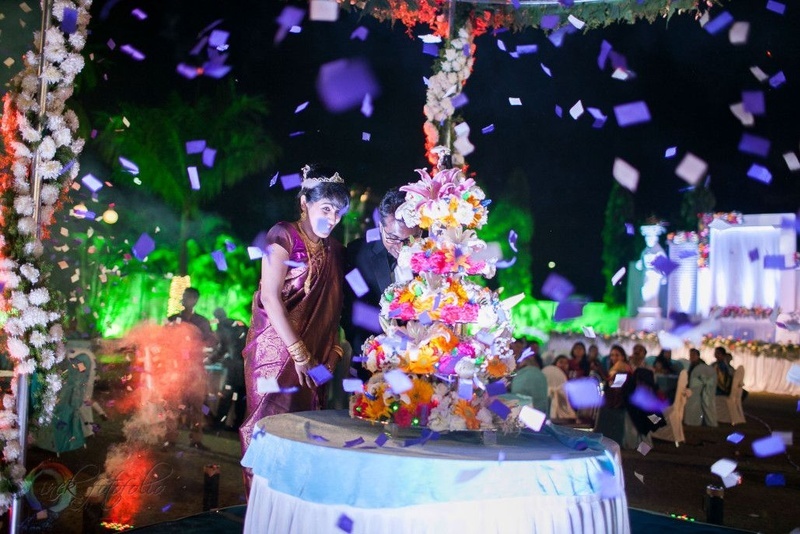 The moment Bonnie and Bincy cut the cake, the pyro-techniques and the confetti suddenly went off, and the team at Scarlet Weddings frantically tried to get each and every moment of this fun Malayali wedding! 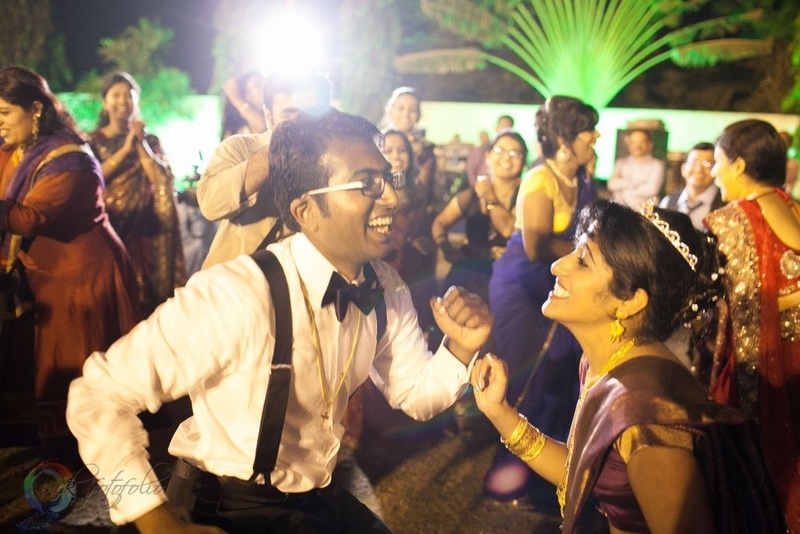 The band soon started dishing out some lovely wedding classics and pulled the dance-y crowd on the dance floor. 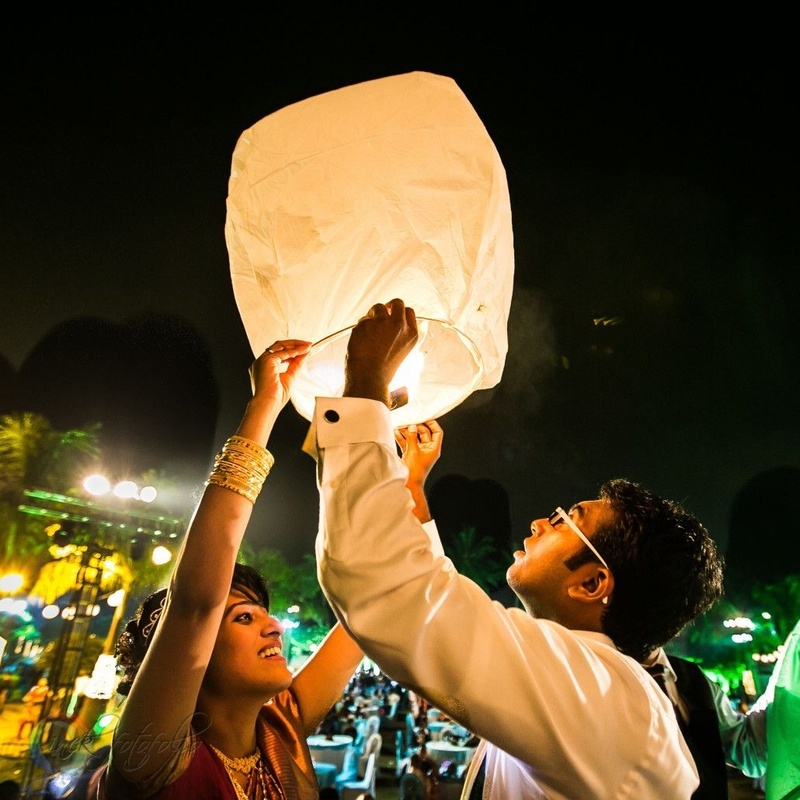 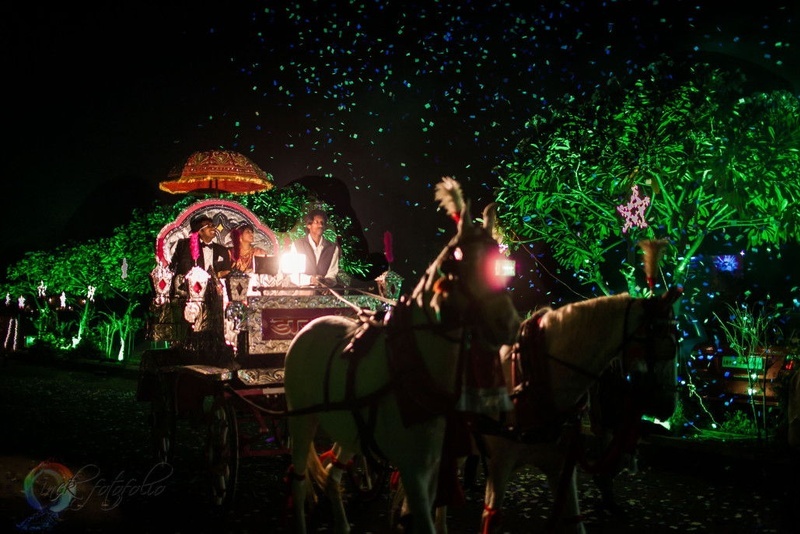 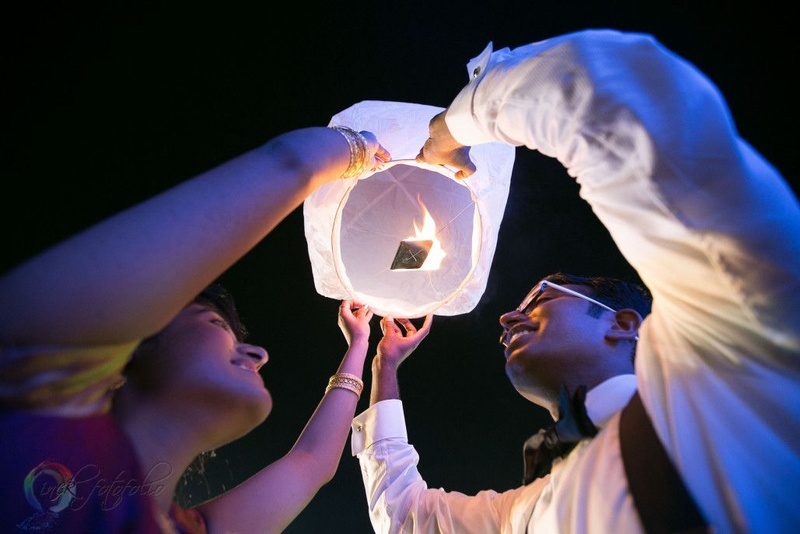 After a wild night of partying, the couple concluded with a lovely paper lantern lighting ceremony – it was truly a magical end to a night filled with love and happiness! 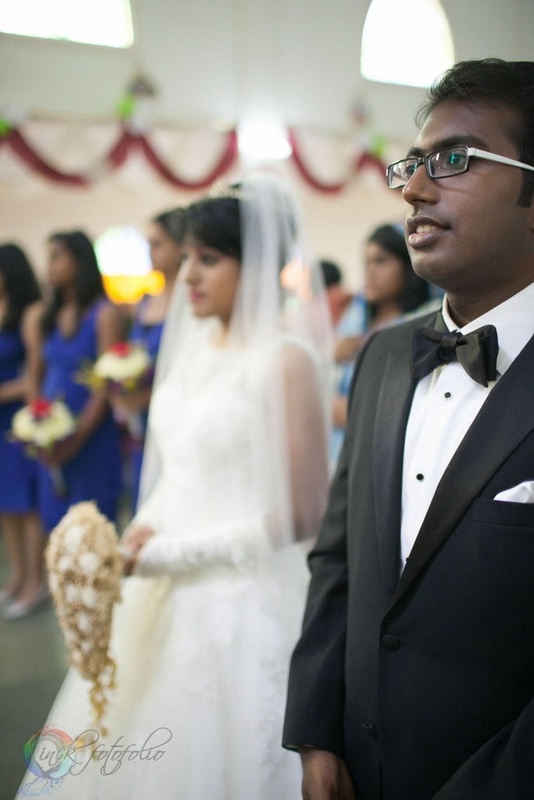 Attire for his special day!